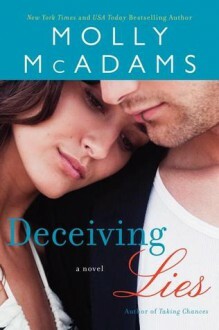 Deceiving Lies by Molly McAdams has descriptive copy which is not yet available from the Publisher. Loved this ending for Rachel and Kash! Let me guess there's a naive girl who's never has a social life, goes to college, meets two amazing guys or knows two amazing guys from the past (either way gets in a love triangle), gets pregnant, someone dies. And she ends up happily ever after with no stretch marks. I'm sorry, no but no thanks.